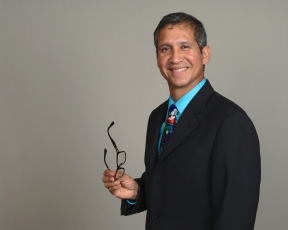 As an educator for over 30 years teaching elementary school students in Mexico and United States, Raul Castillo knows firsthand the significance of reading and writing. 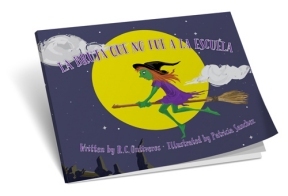 So much so that Castillo penned “La Bruja Que No Fue A La Escuela” (The Witch Who Never Went to School), a 26-page Spanish language book with illustration that touches on the love of learning. This Saturday, Feb. 25th Castillo will be in Chicago for a book signing and to meet with families in Pilsen at Giron Books, 1443 W. 18th St., from 4pm., to 6p.m. This week, Lawndale News had the opportunity to interview the author about his love of teaching and the power of education. Raul Castillo: When I started my job as an elementary bilingual teacher here in the United States 18 years ago, I struggled to find good books written in Spanish. They either weren’t translated well from English or there were just stories that didn’t reflect much of our culture, expressions, traditions or customs. I also encountered many Hispanic parents who were putting all of their time and attention to their jobs and just a little bit of interest into their children’s education. So, I wanted to create a story with a simple, but very important message given by someone who understands their culture. Without giving too much away, what is “La Bruja Que No Fue A La Escuela” about? It is about a young witch who realizes her magic powers were jeopardized because she wasn’t able to put spells or formulas into writing for her lack of education. She meets a young boy who helps her by showing her the power of books and, at the same time, he overcomes his fear of witches. What did you enjoy most about the process of putting this book together? Two things. First, seeing the faces and the reactions of my students when they hear this story and, secondly, observing the development of the characters—their resemblances and their personalities—thanks to my wife, Patricia Sanchez. She did an amazing and beautiful job with the color illustrations. This Saturday you will be in Chicago for a book signing, what are you looking forward to the most? I would love to see as many people as possible attend this event. I want to personally thank Giron Books in Chicago and the public relations and marketing team from JJR Marketing in Naperville for their huge efforts in publicizing this event. Our Hispanic community can prove that it is really supporting children’s education by attending events like this. What lesson do you hope young readers take away from your book? There is no higher power than education. You might be physically strong or have some other “power,” but those things do not stay with you forever. Education is a special kind of “power” that you build upon as you grow and it has no limits. It stays with you forever.